Santa Muerte’s scythe has hacked our collective humanity to shreds at the U.S., Mexico border. 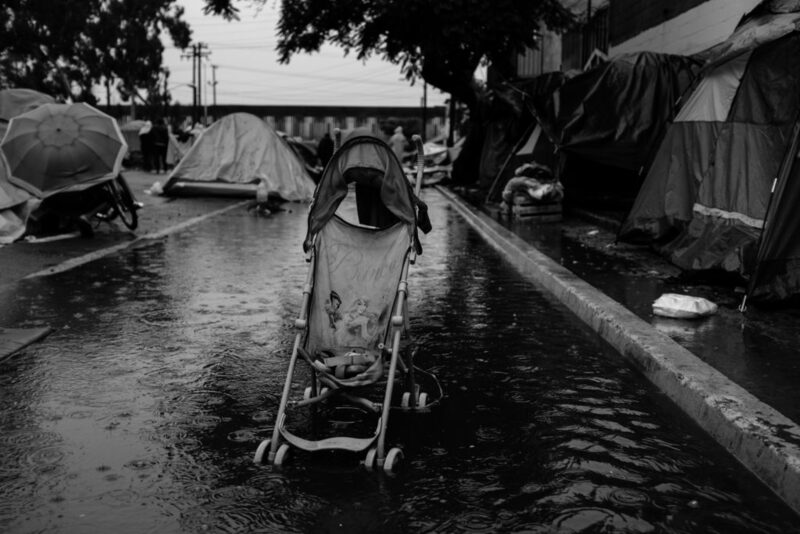 The treatment of Honduran refugees in Tijuana is a deadly blueprint for oppression and the measure of how far we have strayed. The caravan that arrived in Tijuana in November, 2018 didn’t necessarily believe they’d be embraced, but they didn’t know they’d be attacked on multiple fronts. There are more asylum seekers on the way, but this was the last caravan that will embark with the expectation of refuge in Tijuana. Not since the holy death of human rights at the U.S, Mexico border. As the next Honduran caravan crosses into southern Mexico, the Trump administration has crippled the flow of asylum applicants to a deadly crawl leaving thousands, including a vulnerable migrant youth population, to fend for themselves on the streets of the severed-head capital of the world; Tijuana, Baja California, Mexico. Targeted by the same sinister forces in Tijuana they’d fled at home, asylum seekers have now fallen prey to another mercenary predator; in addition to a US “metering” policy that puts them in a dangerous holding pattern, the new Department of Homeland Security (DHS) Migrant Protection Protocols, (a.k.a. “Remain in Mexico” policy) now remands many back to Tijuana while their cases process. New caravans will now have to file thier asylum papers in Chiapas, 2,236 miles from the U.S. border. What happened to the caravan in Tijuana was the result of metering and retaliatory, machista-politics that prompted a slew of human rights violations and made Tijuana a deadly place for Central American refugees. 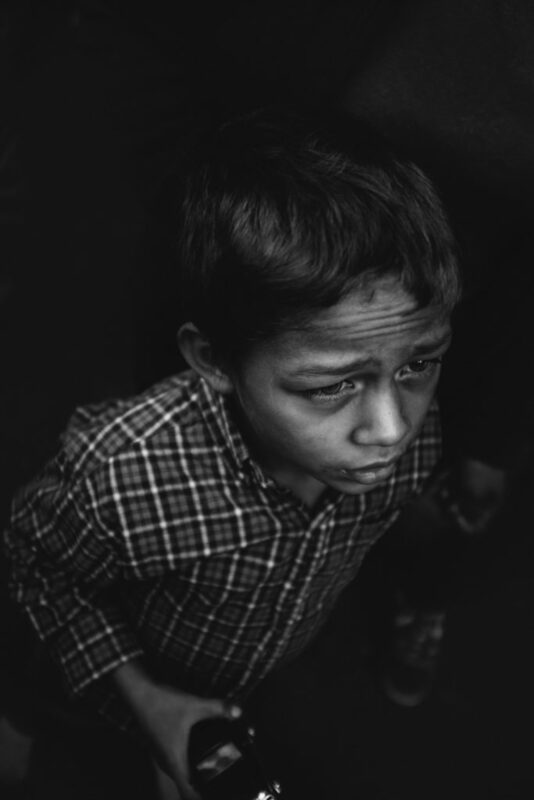 After they were left in the street without food, water, medical and sanitation, exposed to local predators as law enforcement looked on, the caravan organized. Corporate media vied for the money shot while refugees got a legal judgment against the mayor for hate speech and sued to block a shelter eviction order. But a misinformation campaign vilifying migrants got media traction and made things even worse. The two migrant children from the caravan had already died in DHS custody and two others died in Tijuana; one in a hit and run and another in a drug related death. 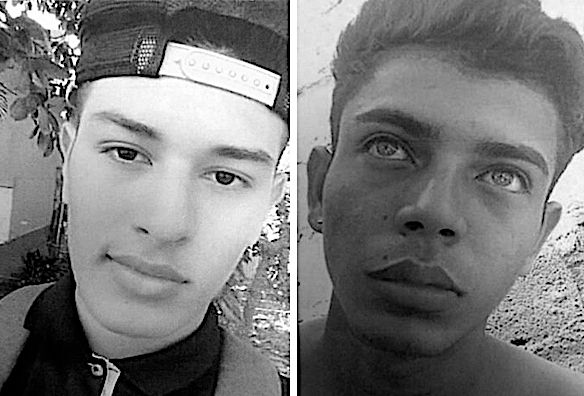 Other migrants have gone missing, some presumably trafficked, but the tragic, grizzly murder of two unaccompanied minors from Honduras, Jasson Ricardo and Jorge Alexander, sent a shock through the caravan community. It was one of 12 murders in Tijuana that day, a city where over 2,000 people were murdered in 2018. Local media blasted the photos and names of the victims before the families had been notified. There are still many other unaccompanied minors in Tijuana. There will be more deaths while asylum seekers languish with uncertian futures. The US immigration court has a backlog of 800,000 cases. 15,000 kids are in U.S. custody as over 12,000 asylum seekers are headed to the U.S. with no sustainable plan in place for Central American migrants in Mexico or the United States. The Mexican government has pulled the plug on its plan to embrace all migrants with work visas and some have already been returned to Tijuana to wait. Some people have already returned to Honduras after voluntary deportation to lead the next northern diaspora. Whoever arrives next will not be traveling with any illusions about how they will be received if they come to Tijuana. Though there is existing infrastructure for them there, like shelters, legal aid and other services. Benito Juarez Center shelter in Tijuana with documentary photographer @AdaTrillo. More video on @HappsNews 7 all 3 months of my caravan stream is on my Facebook page.